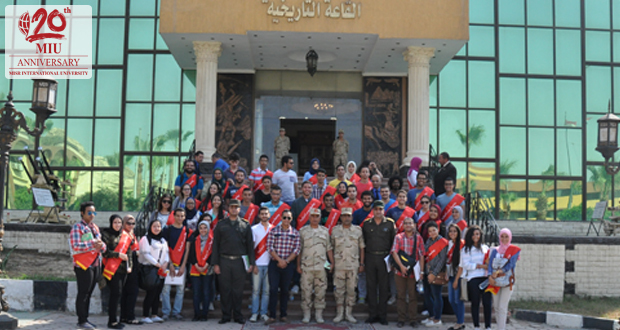 Misr International University organized a visit to the House of Air Defense on October 17th, 2016 to celebrate one of Egypt’s national occasions with its students. 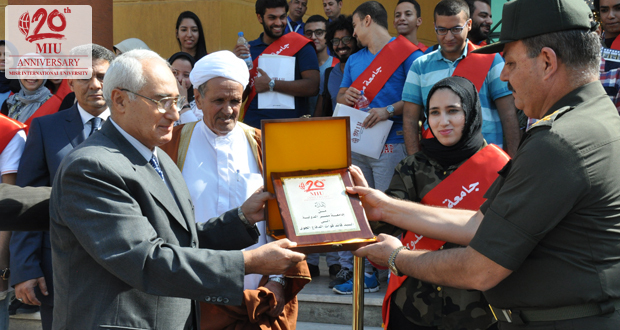 Fifty MIU students got the chance to take a tour in the Air Defense Museum and explore Egypt’s 6th of October achievements and history, with the assistance of the Chief of Air Defense Staff, Major General Ali Fahmy. It also comprised a series of discussions with Sinai Chieftain and Air Defense Forces Commander about the current situation in Sinai. The university presented an honorary shield to the Air Defense leaders in appreciation of their achievements and success stories.